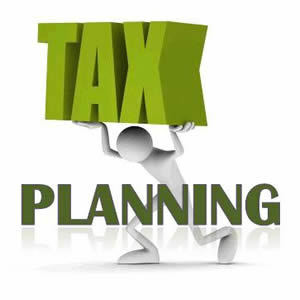 If you’re like most taxpayers, you have no clue about the most effective tax strategies for these financial vehicles – especially if you lack access to expensive accountants and attorneys. Here’s some guidance. Here are two common situations and innovative solutions that might help. You are self-employed and want to save tax. You feel you pay too much in taxes and want at least $17,500 of deductions. You are not an employee with a company that offers a 401(k) retirement plan but you still need more deductions than the $5,500 annual contribution ($6,500 if 50 or older) limit for a traditional individual retirement account. Solution: a solo 401(k), aka an independent, one participant or family 401(k). Using this vehicle in this case hinges on your being a sole proprietor or operator of the business with your spouse, and have no nonfamily employees. Let’s say your spouse works in the business with you and is younger than 50. He or she can contribute up to $17,500 annually to the solo 401(k) plan, and this is called employee salary deferral of up to a full year’s compensation. If your spouse earns $17,500 this year ($18,000 in 2015) he or she can put all of $17,500 into the solo 401k(k) plan. Assume you are 50 or older and now also contribute a maximum $23,000 (the maximum $17,500 contribution for 2014 tax year plus the $5,500 catch-up amount) employee salary deferral to a solo 401(k) plan. With an eye to even further deductions, you can also kick in the employer contribution – remember, you are both the employee and the employer – of 20% of your net earnings if you are a sole proprietor and 25% if your business is a corporation. If you are 50 or older by this Dec. 31, you can save up to $57,500 in the solo 401(k), a combination of the employee salary deferral and the employer contribution. For 2015, the total maximum contribution increases to $18,000 salary deferral plus $6,000 catchup plus $35,000 employer contribution, or $59,000 total. You can still contribute to an IRA in addition to your solo 401(k) contribution. Setting up a solo 401(k) can be inexpensive and easy. A reasonably priced independent 401(k) administrator can cost as little as $500 for set up and $500 in annual fees. Brokerage firms can offer lower costs but you then are tied to their investment choices. If you have non-family employees and want to offer a workplace retirement plan, your normal 401(k) plan may come with potentially higher set-up and maintenance fees. You will also be subject to nondiscrimination rules. This means that you must allow your permanent employees into the plan and that your employer profit contribution must treat all employees – including you the owner – equally. You want to leave a tax-free legacy. In one excellent example, a retired nurse, married, 75, wants to leave a legacy to her 9-year-old twin grandsons. The most tax-effective strategy: Combine the Multi-Generational (MGIRA) strategy with a Roth IRA conversion. The MGIRA, aka an extended or stretch IRA, allows you to designate a successor beneficiary to pass on funds you saved for retirement. Converting other kinds of IRAs to a Roth IRA offers many advantages, including eventual tax-free withdrawals of qualified distributions. We structured a Roth conversion of the nurse’s $385,000 traditional IRA and paid the conversion tax with non-IRA funds. The two grandsons will each get slightly more than $2 million tax-free over their lifetimes in annual checks without ever raiding the principal. Now that is one effective tax strategy. Let’s hope they raise a glass to the grandma who will still be looking after them.